SPAGHETTI AND MEATBALL SOUP — Spaghetti and meatballs get a fun twist in this hearty, beef and pasta filled soup. A favorite with both kids and adults! 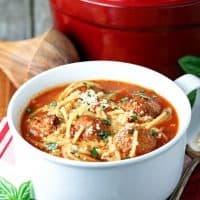 My family absolutely loves spaghetti and meatballs, so I was pretty sure this Spaghetti and Meatball Soup would be a big hit at my house. I was not disappointed, and neither was my family! They all devoured this soup and went back for seconds–and possibly thirds, but who’s counting, right? With a loaf of crusty bread and a nice green salad, this is the kind of comfort food that everyone loves. If you’re thinking this basically looks like a soupy version of spaghetti and meatballs, well….you’re right! But if you think about it, it’s a pretty great idea for a soup. 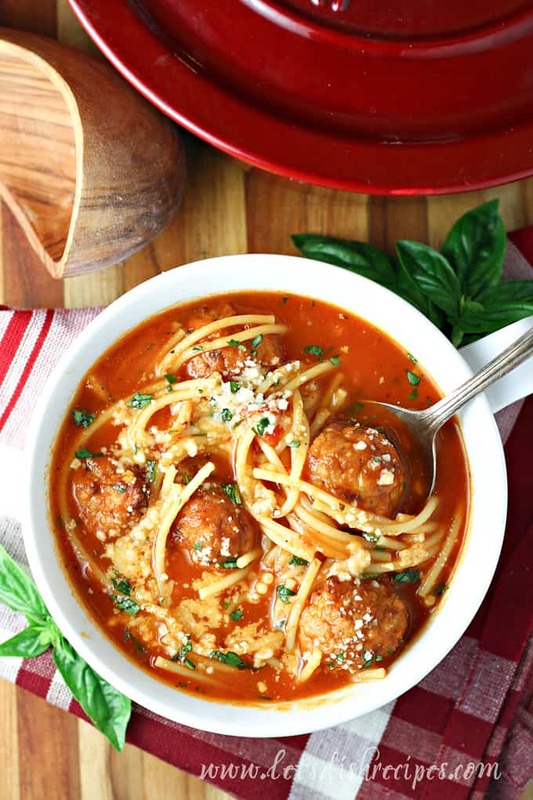 Lot of meatballs and pasta in a savory tomato based broth–what not to love about that? Best of all this is the kind of meal that’s a hit with people of all ages. Kids love it, and so do grown-ups. Which means you really can’t go wrong with this recipe. 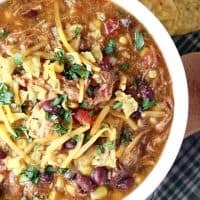 Best of all, this soup is so very easy to make! Especially if you use the precooked frozen meatballs. I’m always look for shortcuts in the kitchen, and frozen meatballs are something I always have on hand. Of course, if you really want to go all out, you can definitely make your own meatballs. But if you’re looking to get dinner on the table in a hurry, I definitely recommend the frozen variety. Jarred marinara sauce is another secret to getting this soup on the table in a hurry. It acts as a wonderful, flavorful base for the soup broth, and comes with all of the seasonings added! 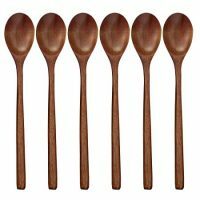 My personal favorite is Prego Traditional, but any brand should work just fine. With a sprinkling of grated Parmesan and fresh basil to finish things off, this soup tastes like it simmered all day, but comes together in about 20 minutes. It’s the perfect meal for hungry, busy families like mine. 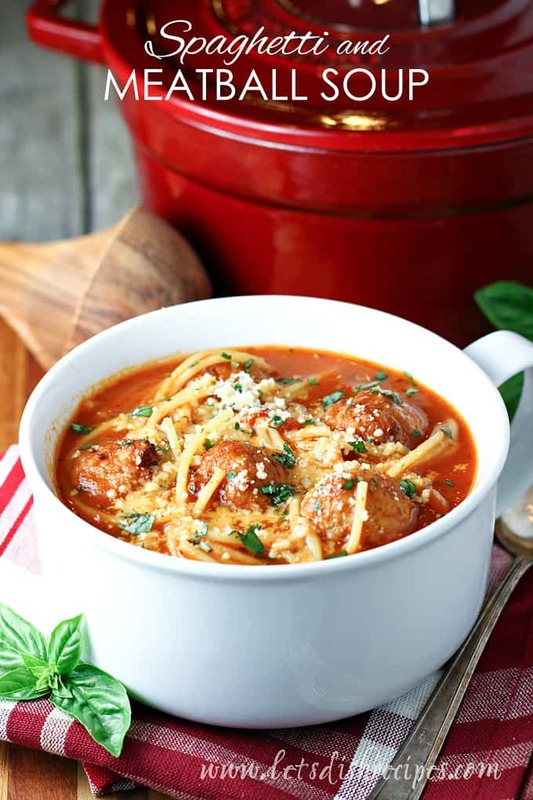 Be sure to save this Spaghetti and Meatball Soup recipe to your favorite Pinterest board for later. *This recipe was shared at Weekend Potluck. Spaghetti and meatballs get a fun twist in this hearty, beef and pasta filled soup. A favorite with both kids and adults! 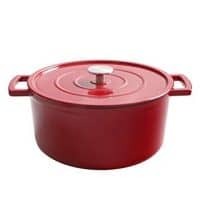 In a large pot or Dutch oven, bring chicken broth, water and marinara sauce to a simmer. Stir in garlic and Italian seasoning. Add meatballs and return to a simmer. Stir in spaghetti and simmer for an additional 10-12 minutes, or until spaghetti is tender. Stir in fresh basil and Parmesan cheese. Season with salt and pepper to taste. 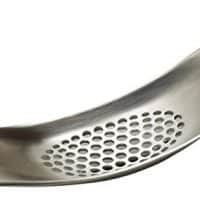 Serve with additional basil and Parmesan cheese for garnish, if desired. 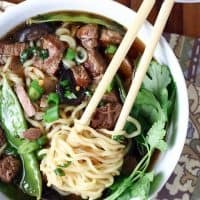 Tender chunks of beef are slow cooked with mushrooms in a flavorful broth, then combined with snow peas and ramen noodles in this light yet hearty soup. 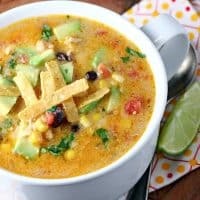 This hearty Southwest style soup features chicken, black beans, corn and peppers in a slightly spicy, creamy broth. Top with shredded cheese and avocado for a heartwarming lunch or dinner. Made in the slow cooker, this hearty, Tex-Mex style pork stew is the perfect way to use up leftover pulled pork. It's savory, spicy comfort food at it's best! 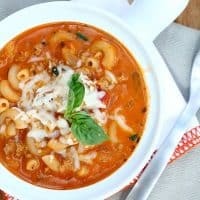 This hearty tomato based soup is packed with ground beef and macaroni and topped with lots of shredded cheese. It's total comfort food that will take you back to your childhood. 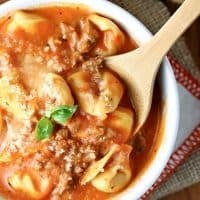 This creamy tomato soup is loaded with spicy sausage and tortellini pasta, and only takes 20 minutes to prepare! 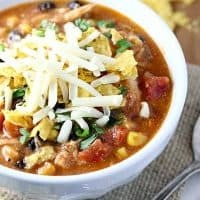 All the flavors of your favorite enchiladas come together in this hearty soup made with chicken, corn, beans, chili peppers and tortillas. I can count on one hand the meals my entire family likes. This one made the cut! There weren’t even enough leftovers for my lunch the next day! Yay! Those meals are rare at my house too. So glad everyone like it!